As phones get more and more powerful, they also consume more and more power. Unfortunately, this means that we no longer live in a time where you can charge your cell phone and have it last for days. Sometimes you will be lucky if your smartphone battery can last for just a single day. I have noticed that when I get a new phone, I am always quite impressed by how long the battery lasts but then as I continue to use it, over time it seems that my battery lasts fewer and fewer hours. I suspect that I am not the only one who has seen degraded battery life over time. So what are some of the reasons why battery life might not last as long as it did when the phone was brand new? Using "OK Google." When the phone is listening on the time to wait until I say "OK Google," it is using resources (and power) to do that. Having auto brightness or having screen brightness turned up. Generally, auto brightness is brighter than it needs to be. Having everything turned on. Wifi, Bluetooth, NFC, GPS, etc. Everything that is turned on uses power. Adding widgets. Widgets use up more power. Having Google auto sync sync every fifteen minutes. Keeping the phone on the charger all the time, and all through the night. While not all of the above things listed above have a significant impact on battery life, they are all things that I do on a regular basis and I suspect many other people do as well. One thing I would like to talk about is leaving your phone charging overnight. Ultimately, charging your phone every night is not going to instantly make your battery worse, but it can lesson the overall life of the battery, especially if you use a fast charger. So what is the solution? The solution is to use a charger that is intelligent enough to know when to charge fast and when no to. That is where the intelliARMOR charger comes into play. The intelliARMOR has smart technology that adjusts power on a per device basis so that it does not put too much power in a device that does not need it. Not only that, but I have noticed that when I charge my phone over night, the intelliARMOR charger does not keep putting the same amount of power to the device but adjusts and just does a trickle charge. 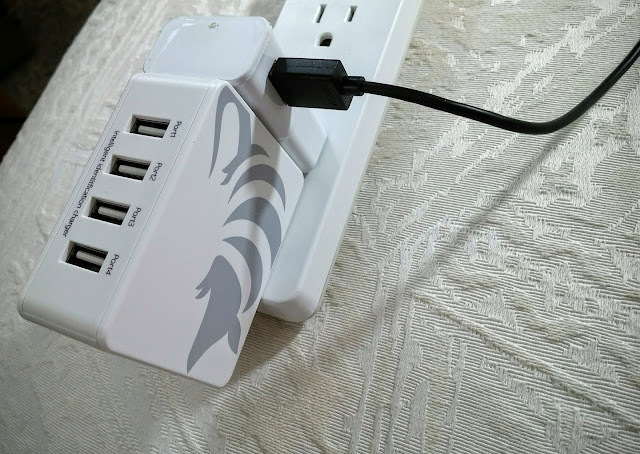 Another advantage of this smart technology is that it allows you to simultaneously charges a variety of devices, whether it is a tablet, smartphone, camera or other device, the intelliARMOR charger makes adjustments for the specific device. 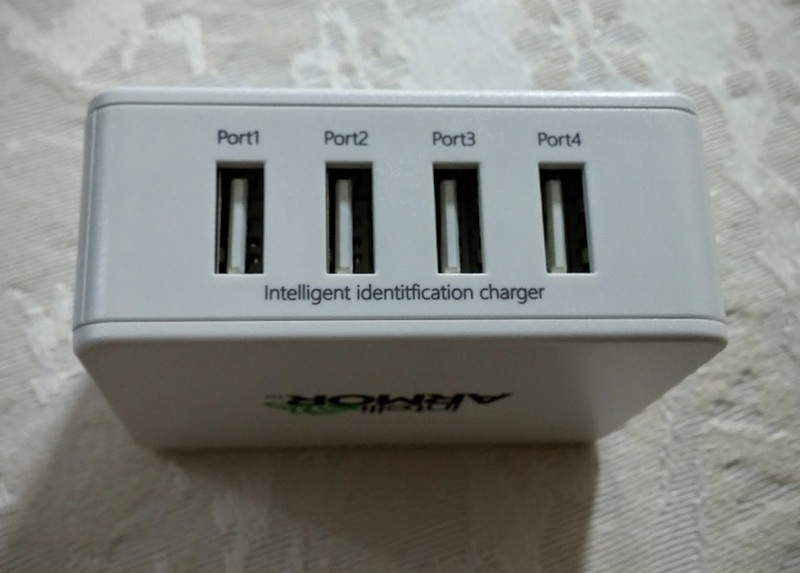 One of my favorite features of this charger is the simple fact that it is very compact for having four ports. Not only that, but when it is plugged into the wall or a power strip, it does not completely cover up the adjacent plug above like so many other chargers do. Since using the intelliARMOR charger, I have noticed that my phone is not getting as hot as it once was when it was charging. I have also been monitoring my battery levels and feel that since I have been using this charger, I have been getting more life out of my battery. I removed the charger from my phone at 7:00 this morning and it is not currently 11:30 in the evening and I am at 61%. Not too shabby. The one thing I wish they would add to this charger is using LEDs to light the ports to make it easy to see at night. Bottom line; if you have more than one device that needs to be charged, or if you like charging your phone overnight, you really ought to do yourself a favor and get the intelliARMOR smart charger. 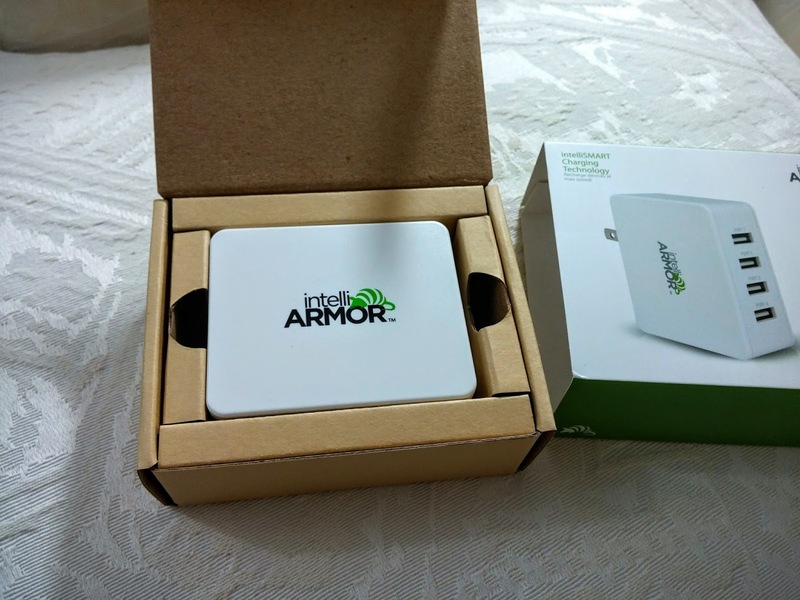 I was sent a free sample of the intelliARMOR charger for testing and review purposes and have been very happy with it. 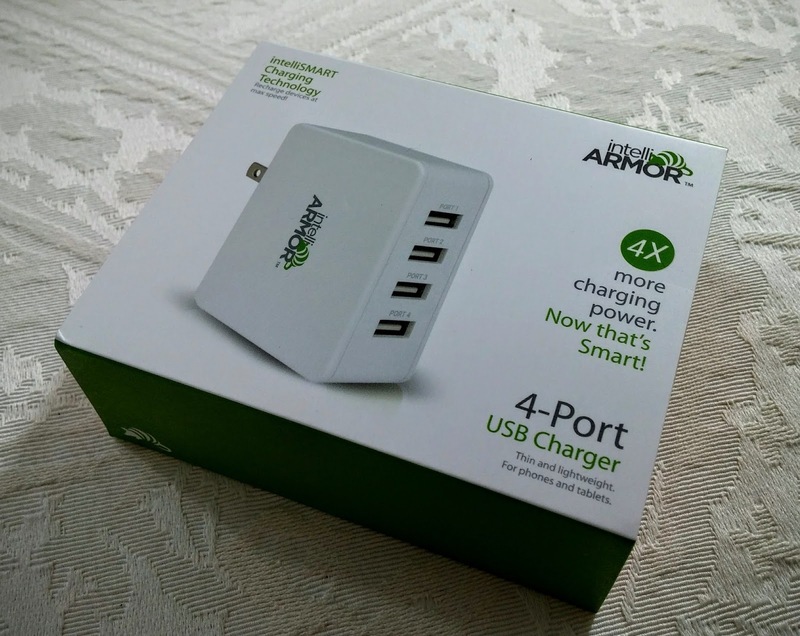 If you would like to start charging your devices a bit more intelligently, use the coupon code "SmartPwr" when checking out of Amazon for 20% off the intelliARMOR charger.